It’s actually been awhile since I tasted something new that made me think “Oh God yes! That’s why I love scotch.” It should be no surprise to me or anyone that a GlenDronach would do the honors. GlenDronach’s 15 year-old “Revival” (named for the revitalization of the distillery after current owner The BenRiach Distillery Company acquired it in 2008) is aged for the full 15 years in Oloroso sherry casks. 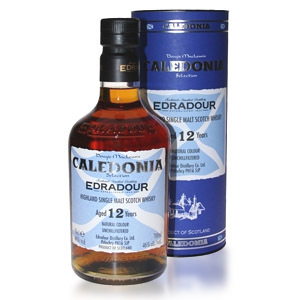 But, being GlenDronach, it acquires more than just a “fruit bomb” or “fruit punch” sherry character from this treatment: It becomes concentrated and resiny and savory, as well as fruity. That’s what I loved about the distillery’s 12 year “Original”, and here somehow the extra 3 years (and the use of only Oloroso, not PX sherry) really makes a big difference. As usual with GlenDronach – and another reason to love them – the whisky is bottled at 46% ABV, is not chill-filtered, and has no added coloring agents. The color is beautiful, too – a dark, rusty, amber bronze. Nose: Sawdust and wood sap. Then, sticky molasses, port wine reduction, and fig jam. The fruit here is dark, dense, and resinous, and the malt serves only as a platform for the intensely concentrated sherry notes. Accompanying the fruit notes is an unctuous, meaty, greasy component that is the hallmark of GlenDronach’s house style – something like a cross between Teriyaki beef jerky, sun-dried tomatoes, and axle grease. But in a good way. A long rest in the glass reveals – as it often does with single-malt, an aromatic vanilla note. Palate: Thin body, but oh how fruity. Assorted jams, raisins, prunes, and fig all served up on a platter of well-aged malt. The savory/greasy character shows through quickly, and keeps the Teriyaki theme going. Finish: At last, the fruit freshens up and becomes cherry lozenge, young red wine, grape soda, and a background of ripe fig. A mild sense of Red Vines (“red” licorice) is followed by a slight woodiness – no bitterness! – and a lingering meatiness. Beef jerky again. Interesting diversion: There’s no real consensus on the flavor of Red Vines, which were originally raspberry flavored but were re-formulated in 1953 and dropped the raspberry descriptor. Interestingly, a blog post comparing the merits of Twizzlers versus Red Vines has about 3 times more comments than my most-active review. Who’s over-thinking things now? With Water: A few drops of water reveals some vanilla extract and a mild floral character which is somewhat at odds with the sherry notes. Odd, I would have expected it to awaken fresh fruit aromas. The water does emphasize those fresh fruits on the tongue, though, particularly the cherry. It does the same on the finish. Cherry again. I wouldn’t bother with the water here, as it masks some of those sticky resin notes. Overall: Like the 12 year, this is fruity and savory at the same time. However, where the 12 year has many fresh fruit flavors, in three more years the 15 has quickly become more concentrated and resinous. There is an umami component that is more apparent than in the 12 year, like soy sauce without the salt, and it pairs beautifully with the dried fruit and sticky prune character. Chinese plum sauce might be a good way to sum up the flavor profile. To me, this shows what sherry aging is capable of doing to a malt, and goes way beyond simply being ‘sweet’. 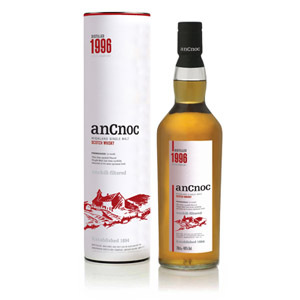 Like The Macallan 18, the flavors here are surprising and deep, and somehow just taste old. My only complaint is that the malt plays a distant supporting role, and is nearly undetectable underneath all that sherry. More integration would have made this even greater. If you like sherry-aged whisky, and especially if you aren’t looking for the simpler “fruit punch” effect, this is well worth exploration, although I recommend trying the 12 year first, to get a good feel for what the distillery can do. 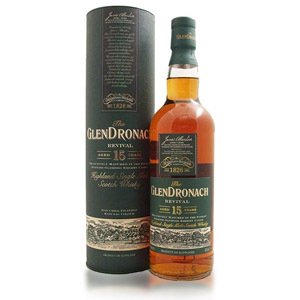 GlenDronach 15 runs north of $76 – sometimes over $100 – and thus qualifies as a “special occasion” malt, but I think the flavor profile matches the price. 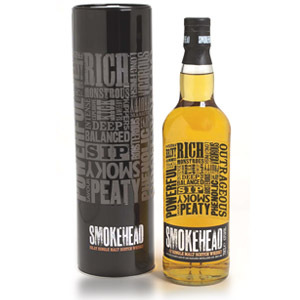 Founded by James Allardes in 1826, GlenDronach distillery, after trading hands several times, was sold by Pernod Ricard to the Benriach Distillery Company in 2008. 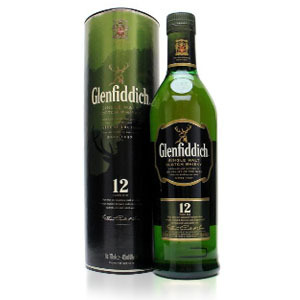 At that time, they announced a new style for the distillery flagship 12-year-old bottling, which was released in 2009. We can expect to see other changes in the distillery’s lineup. Fittings include a copper mash tun, Oregon pine washbacks, four steam-heated copper spirit stills and defunct floor maltings. While it sources the same malted barley as Benriach Distillery, either the water or the workings at GlenDronach yield a bulkier, heavier spirit that takes to ex-sherry casks very well. This is wonderful whisky! It’s not available locally, so I had to pick a bottle up while on business last year. Paid about $85, but it was well worth it. Did not last very long, though, and I’ve been wishing I had bought more to ship home. Recently a friend brought the 12 to me after a trip to another state and ordered two of the Revival for me. I plan on opening the 12 within the week to see how it compares. This bottle is going to raise bigger issues. As a beginner at this, I’ve found I love some bottles and want to return to them. To rather than jumping in to a distillery I wanted to try, in a bottle that was highly recommended (here and elsewhere), I find myself thinking about my Old Pulteney 17, Highland Park 18, and Lagavulin 16. Those bottles are over half way gone. Do I keep trying others? How often do your return to your favorites. I can see that I’m never going to have a website like yours, with your range of tastes. I do both – I try to taste everything new that I can, but I also keep a few “standard” bottles in my cabinet. I always have GlenDronach 12, Laphroaig 10 or Lagavulin 16 (I alternate), Talisker 10, and Great King Street – Artist’s Blend. 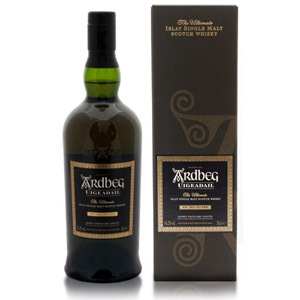 One of the best sherried single malts out there. Since Glendronach was closed in 1996 and not reopened until 2002 by Benriach, the company won’t have any 15yo whisky made by themselves until 2017. This means that they have been bottling stock from 1996 earlier, and that is all at least 18 years old, and will be 21 years old when the new stock finally catches up. So as long as the price on this doesn’t shoot up, you could be paying $80 for the Glendronach “21” Revival in a few years. So Andrew, is what you are saying that the two bottles of 15 I just bought are in reality 18? Looking to get your recommendation. I’m trying to decide between Glendronach 15 Revival, Glenfarclas 17, and The Balvenie 15 Single Barrel Sherry Cask for my next purchase. I’ve not had any of them before, and all are available for about the same price where I’m at. Which of the 3 would you choose to purchase a full bottle of as a special occasion purchase? Or would you recommend something other than the 3 for appr. $80-100? Hi Andrew, I haven’t had the Balvenie, but their 15 single barrel (the original ex-bourbon cask ones) was one of my favorite bottles of all time. Between those three I would go for the Balvenie, then the Glendronach as backup. Cheers! Just my opinion but I’d say grab the Glendronach 15 first just because it’s going out of production for a few due to lack of stock, so soon it’s going to become harder to come by and more expensive. The Balvenie 15 Single Sherry Barrel is still in production and plentiful so less to get it IMHO. Good point, thanks for the note! Someone told me that this will once again be an official bottling. According to Glendronach’s website it has been available at the distillery as of September 2018, and will be madeavailable at select specialty retail shops worldwide during October of 2018. What this means as far as actual availability or price is anyone’s guess. The good news is that I can always fly to Scotland for a bottle.